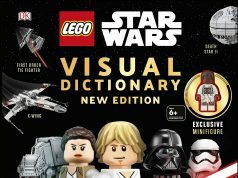 If you haven’t gotten enough news for The LEGO Movie including the sets and the minifigures, there are some books by Dorling Kindersley that are being released next month. We found the books listed on BNC CataList and they are currently available for pre-order on Amazon and will be released on December 30th. When an ordinary LEGO® minifigure discovers he is the only one who can stop an evil LEGO tyrant from ending the world as he knows it, he embarks on an all-new, all-LEGO adventure. This fully illustrated guide to the upcoming The LEGO® Movie explores the characters and locations of this long-awaited film with profiles, location spreads, and behind-the-scenes information about how the movie was made. 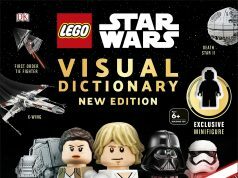 The LEGO® Movie: The Essential Guide would not be complete without fun and interesting facts and coll movie stills. Featuring all the great characters from The LEGO® Movie, this fantastic Ultimate Sticker Collection allows kids to take the action off into their own hands with 1000 full-colour reusable stickers and full-colour backgrounds from The LEGO® Movie. In The LEGO® Movie, an ordinary LEGO® minifigure discovers that he is the only one who can stop an evil LEGO® tyrant from ending the world as he knows it. These all-new DK Readers feature the popular characters from the film in exciting adventures! In DK Readers Level 1 LEGO® The LEGO® Movie: Calling All Master Builders – who are the Master Builders? Do they have what it takes to stop an evil LEGO® tyrant from ending the LEGO® world? In DK Readers Level 2 LEGO® The LEGO® Movie: Awesome Adventures meet the very ordinary Emmet and join him on his extraordinary quest to save the universe!